Make those big brothers and sisters feel special too! 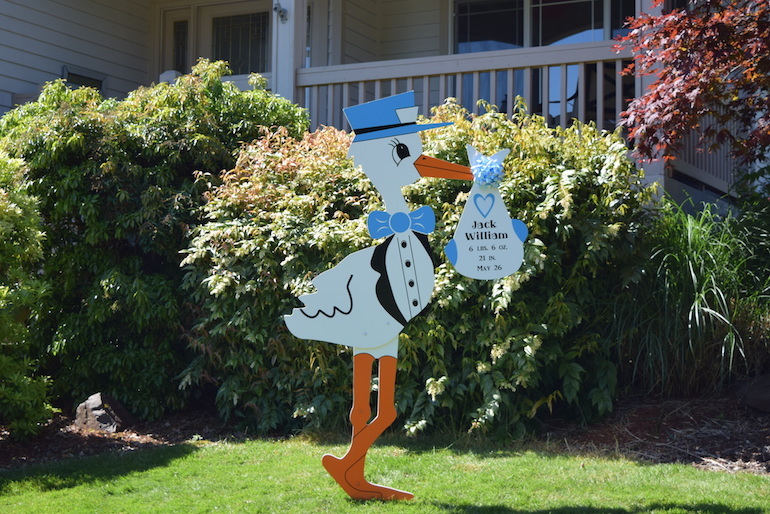 These cute keepsakes are ONLY available with a stork rental. 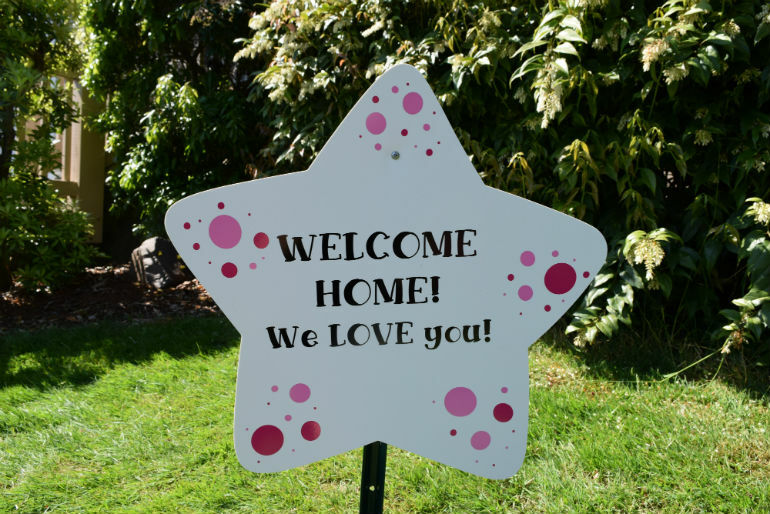 Customized with their name on it, the siblings are sure to feel proud as that new baby comes home. Available with pink and blue polka dots as well as other colors by special request. 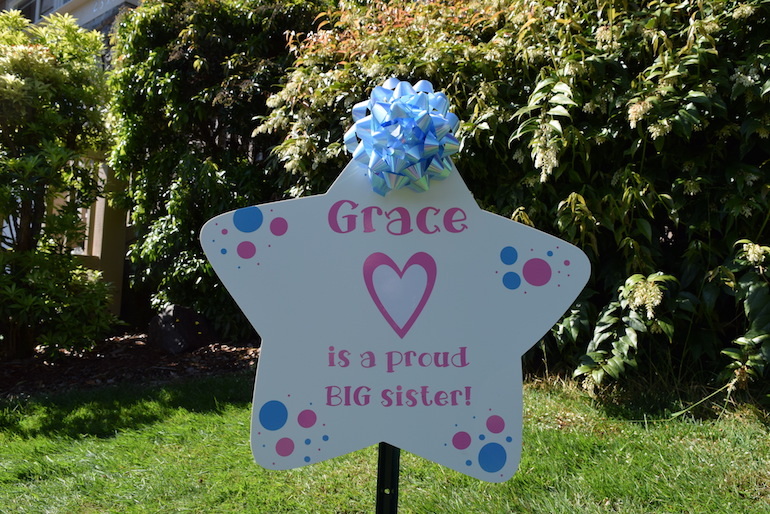 Stars can also be customized with a special message for the new parents like “We Love You” or with a general message like “It’s a Girl”. 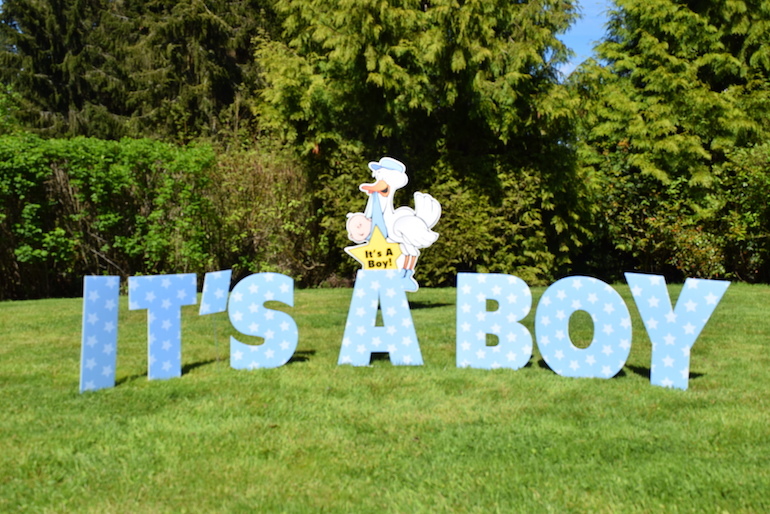 These cute add on signs are yours to keep after the rental period ends and the stork signs are picked up.